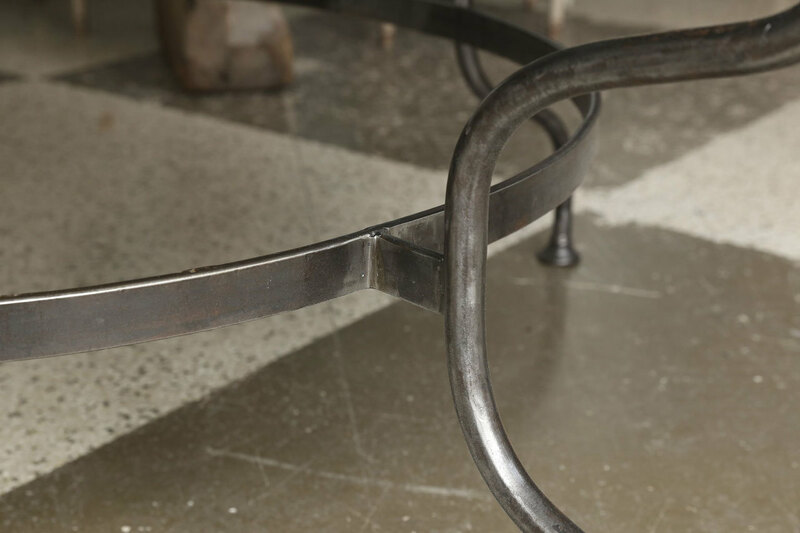 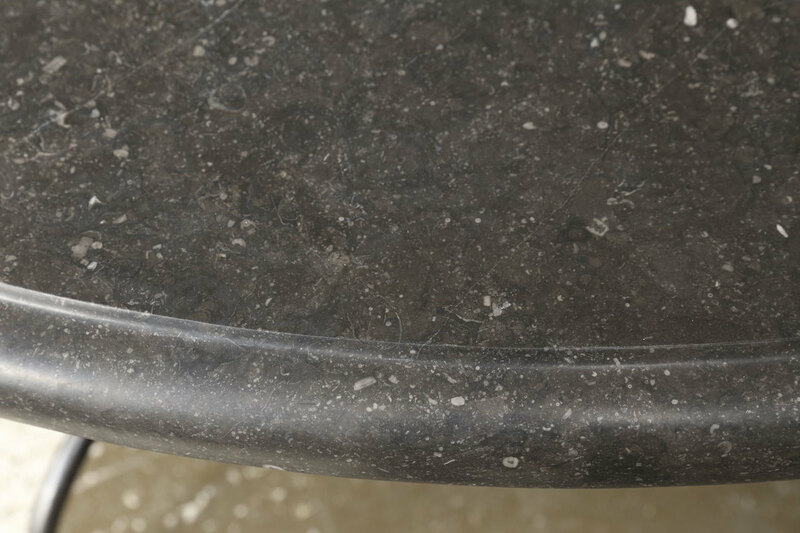 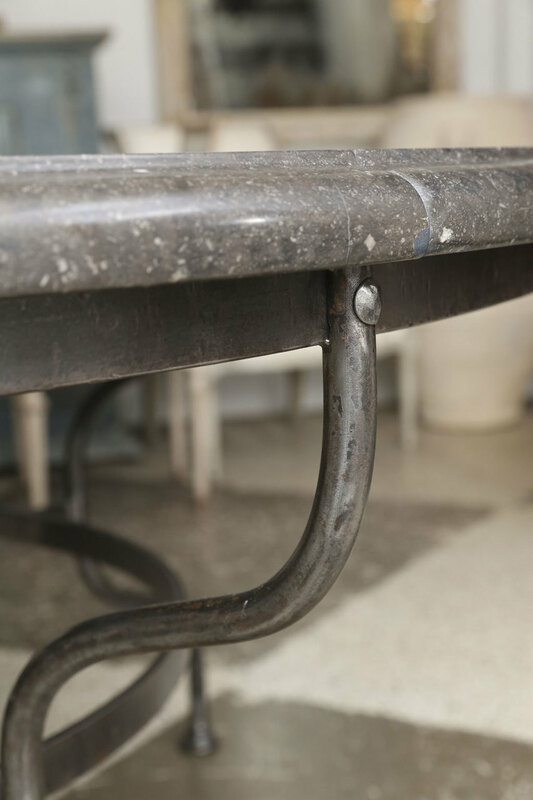 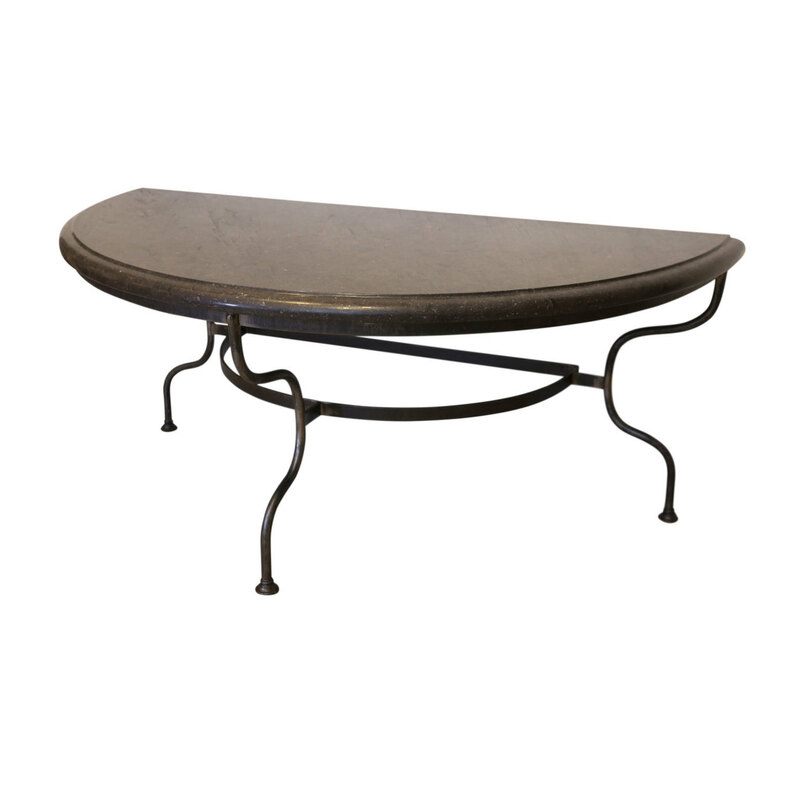 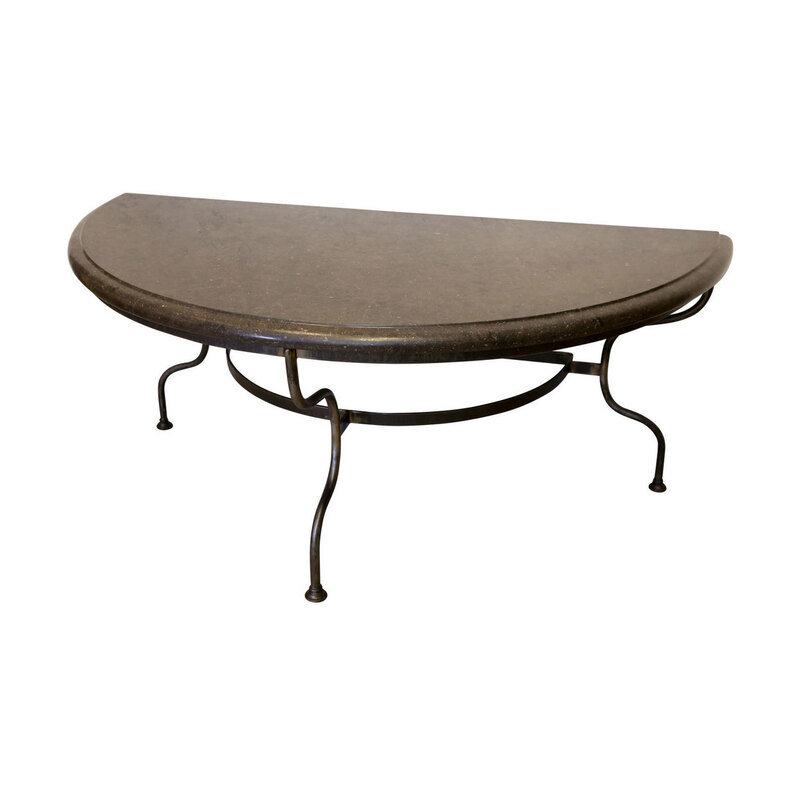 Pair of large demilune tables with iron bases and Belgian bluestone tops. 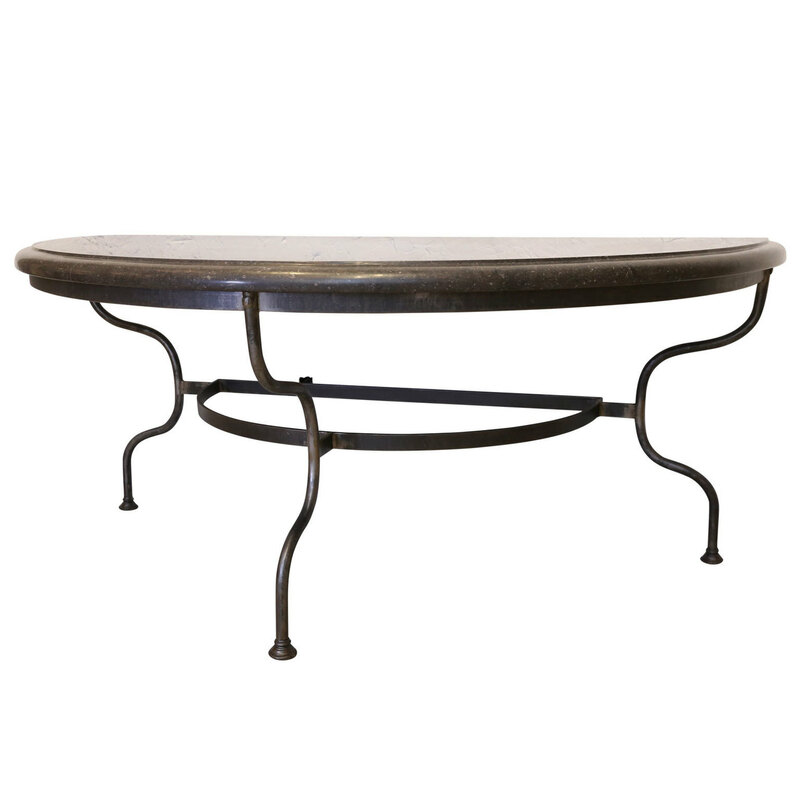 May be pushed together to create a large 72 inch diameter round table. 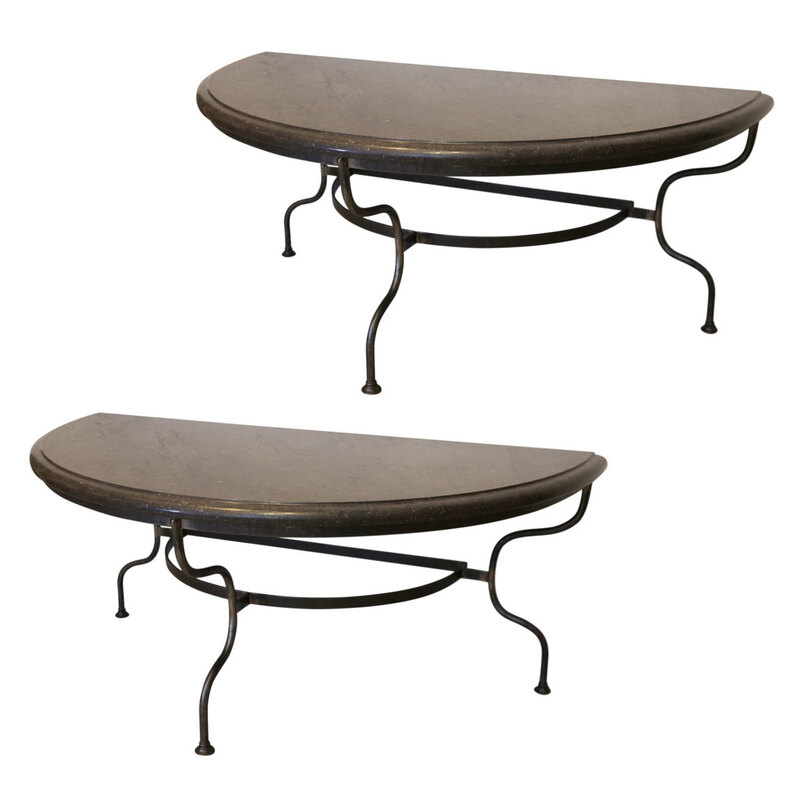 Sold together as a pair priced $9,800, but may be sold separately at $4,900 each. 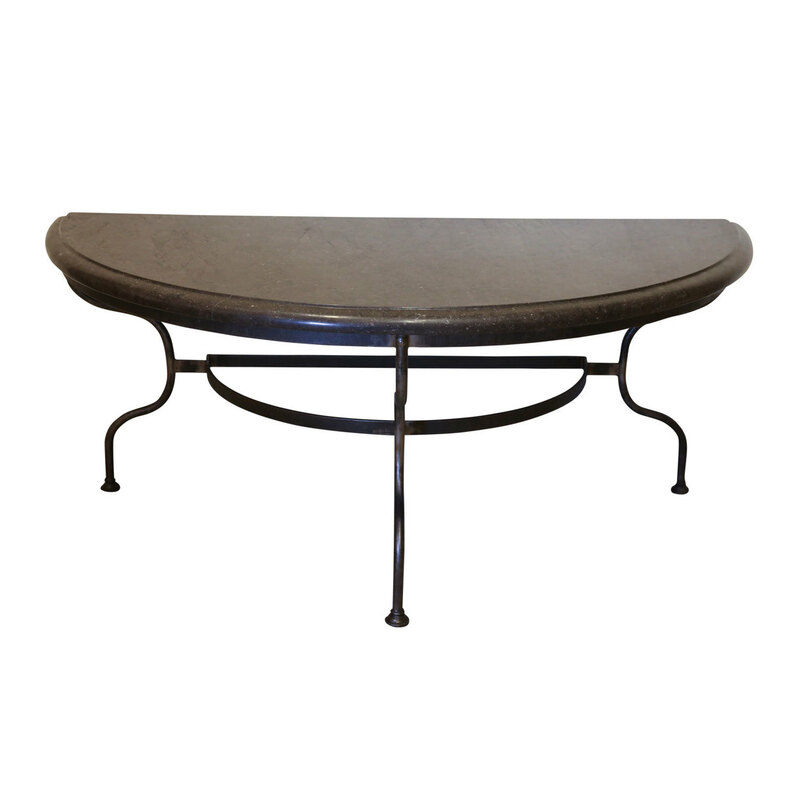 Condition: ExcellentFinish on the iron base simulates modest age and wear.